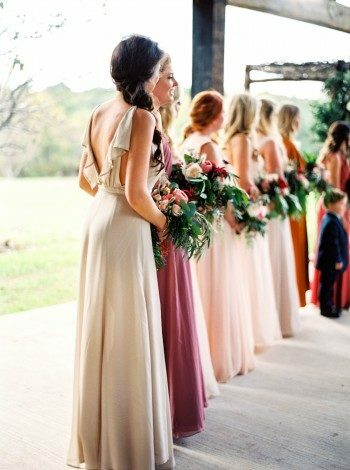 Real Weddings + Parties - Smock. 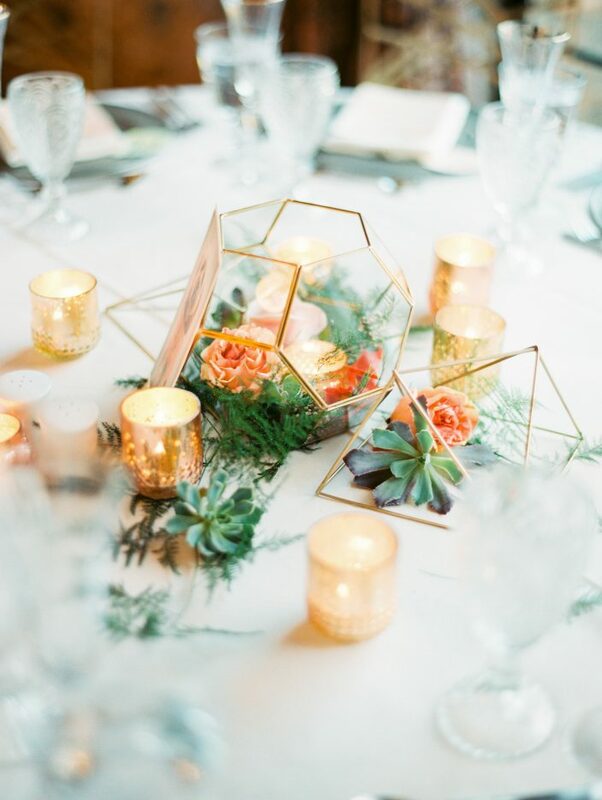 Sarah and Colby worked with our friends at No Regrets to create their gorgeous Barnesly wedding invitations (get all of the details on them here!) 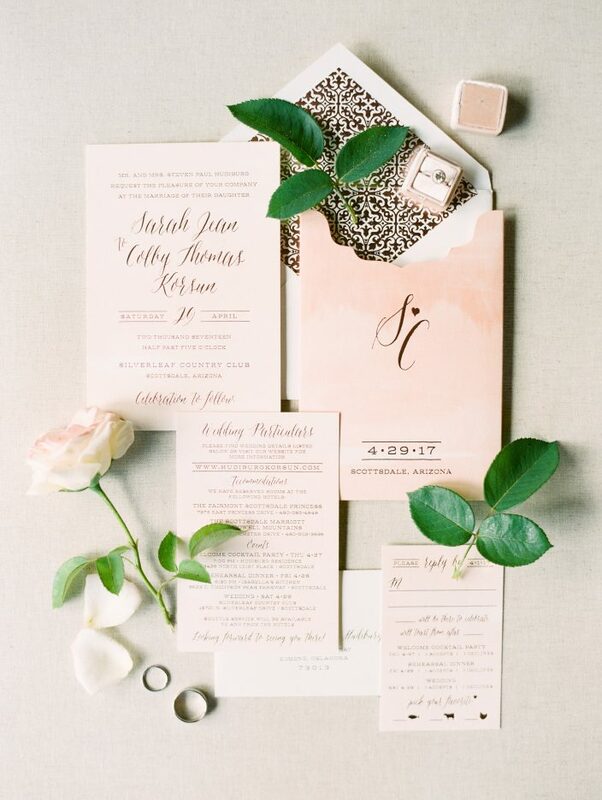 complete with monogrammed invitation sleeves and rose gold foil stamped envelope liners. 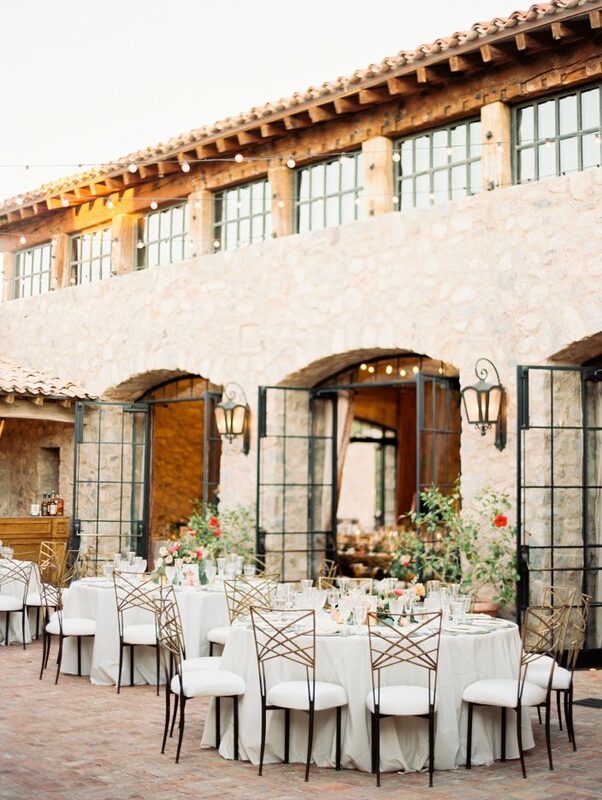 The bride is a talented portrait photographer and worked with Imoni Events to pull together a picture-perfect celebration at the Silverleaf Country Club in Scottsdale, Arizona. 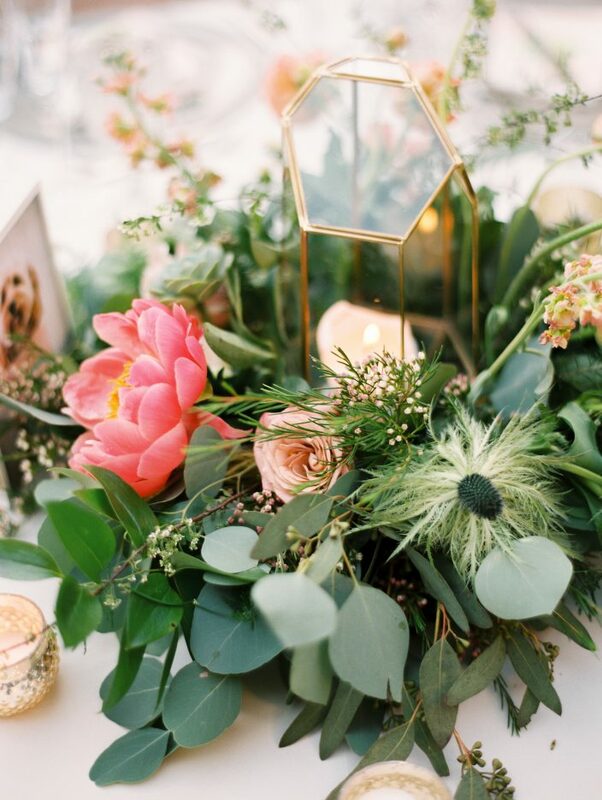 Romantic floral arrangements and garlands of lush greenery dressed up the beautiful venue, with modern gold accents like geometric vases and candle holders adding a fun touch to the centerpieces and decor. 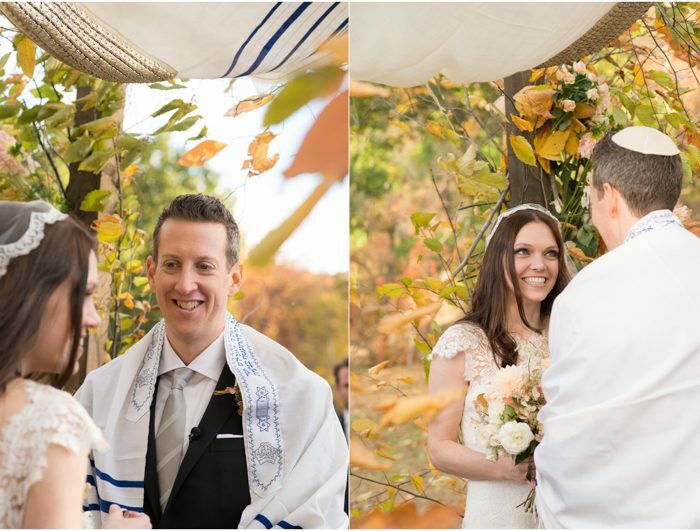 Below you’ll find a few of our favorite images from the big day, but take a look at Rachel Solomon’s blog for even more photos! 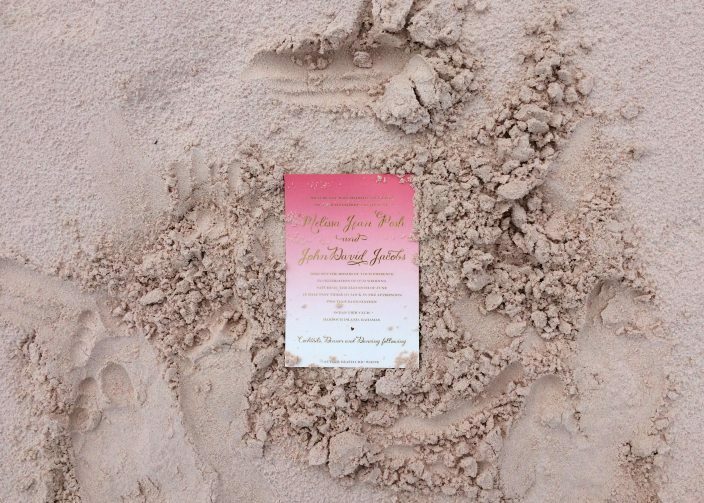 Melissa and John worked with Colin at Pulp & Ink for their wedding invitations and stationery for their fairytale wedding in the Bahamas. 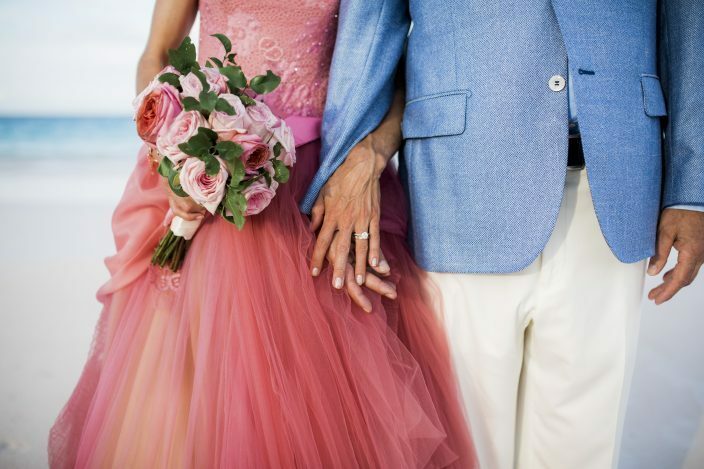 The couple selected our ombre Amira suite and personalized each piece in the same shade of pink that the bride chose for her custom Vera Wang wedding gown. 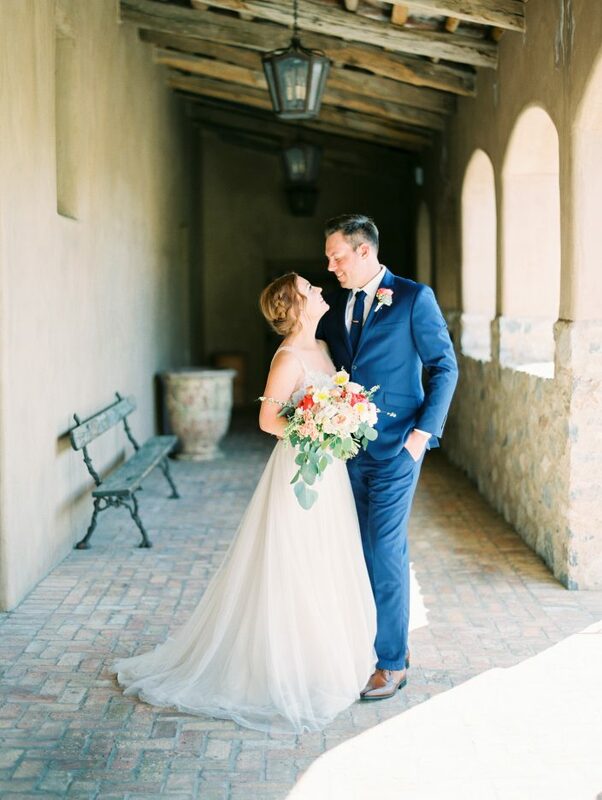 Read on for their beautiful love story! John Jacobs and Melissa Posh first met on June 9, 1994 at a party at Lake Point Towers. John, having just had shoulder surgery, was on major pain relief medication, causing his sense for adventure to be higher than usual. Melissa walked in, John approached, words were exchanged, and chemistry began to operate. 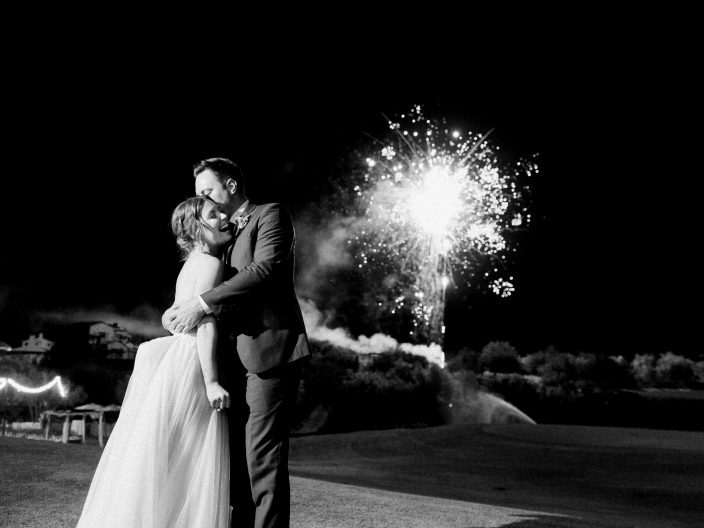 For John it was ignited by Melissa’s spark of contagious energy and for Melissa, it was the aura of excitement and wit that attracted her. In a matter of minutes a romance had begun that culminated 22 years later in a fairy tale wedding for the ages. John is a conservative wealth manager for the Union Bank of Switzerland (UBS) and Melissa is an entrepreneur in the food, fitness and fashion arenas. Although on paper, they were exact opposites, we all have heard the old saying “Opposites attract”. The twenty-two years seemed to fly by and there was never a day that Melissa did not get excited when John walked through their door at night. Their high rise home looked over Lake Michigan and it kept them in touch with their mutual love for the water. 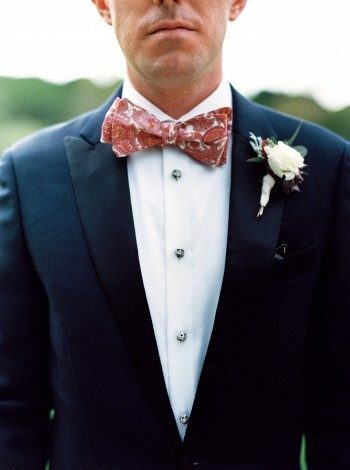 John had many hobbies: he was a pilot, an artist, a reader and musician with interests in the guitar and the piano. Melissa was a creative type. 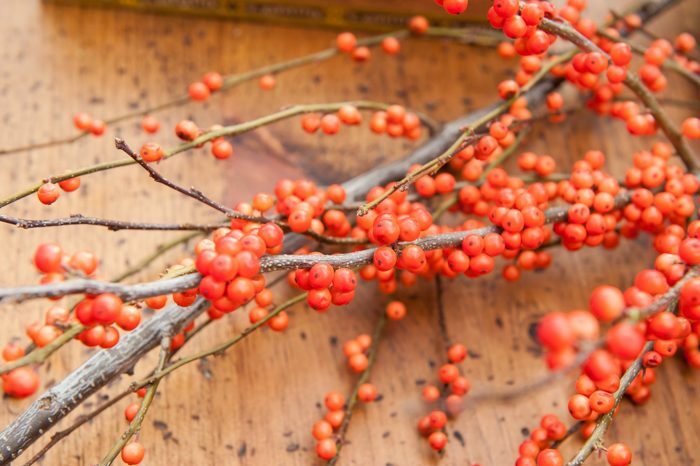 She loved to exercise, run marathons, practice yoga, bake and cook, shop for fashions and always seemed to find the perfect gift to give to a friend or member of her large family. She was also an event planner, organizing a golf outing in honor of her father, Ed Posh, who was the head golf professional for 37 years. The event has raised over $700,000 for college scholarships for local area youth. Most of all both Melissa and John were in love with deep-sea fishing and spent myriad hours cruising and fishing in the Caribbean waters. John had bought a large fishing yacht naturally christened “The Melissa”. One of their first marine adventures was a trip to Harbour Island in the Bahamas. It was “Love at first Docking”. The island offered fantastic fishing for John and a three mile long pink sand beach for Melissa. You could even ride horses on the sand. The island was a match made in island heaven. It offered first class gourmet restaurants, fabulous libations, a sprinkling of beautiful boutiques, and it was small and intimate to boot. 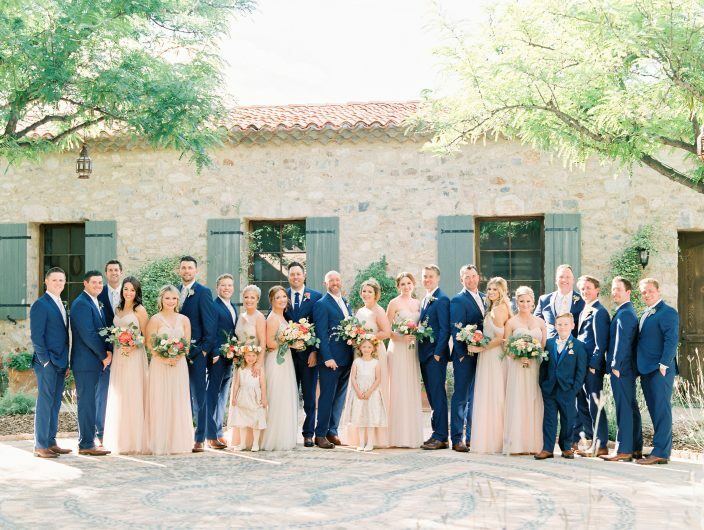 It was enough to keep them and John’s two children, JR and Lindsay, as well as several of their friends, family and clients coming back year after year. 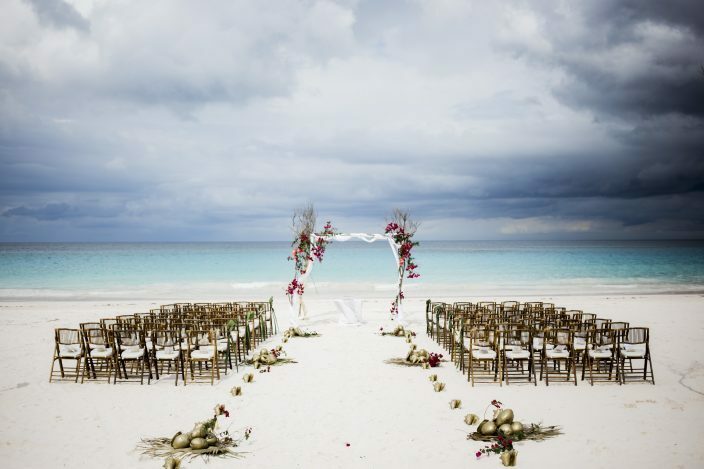 On June 5th, 2015, twenty-one years after their first meeting, John flew Melissa down to the Island. By now he had his own plane. 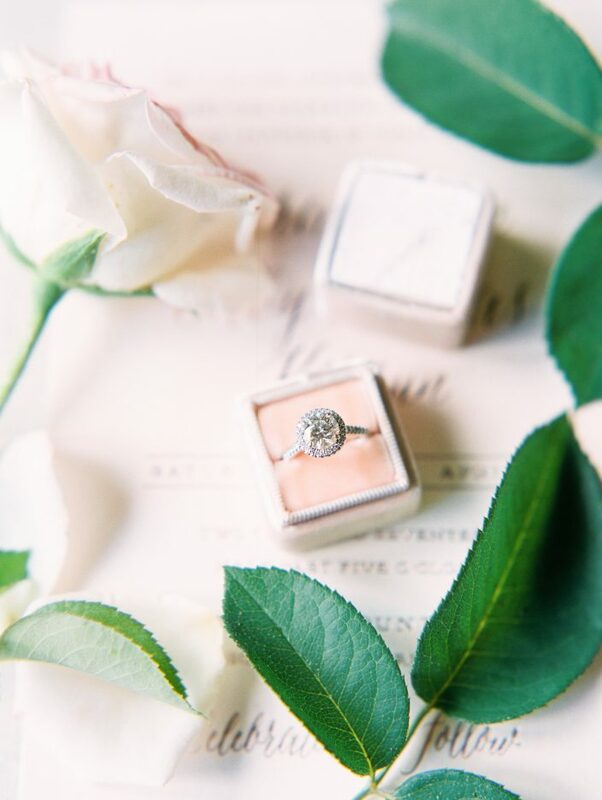 He’d made a reservation at their favorite restaurant, The Rock House, and over the course of the evening actually got down on one knee and proposed. I bet none of you are scratching your heads over her immediate response. 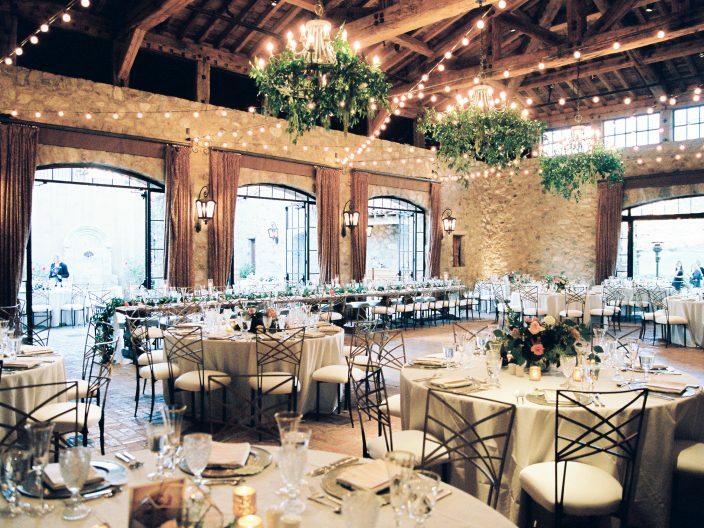 Rocki and Doug personalized our Greely suite with copper shine foil for their November wedding in Texas Hill Country. 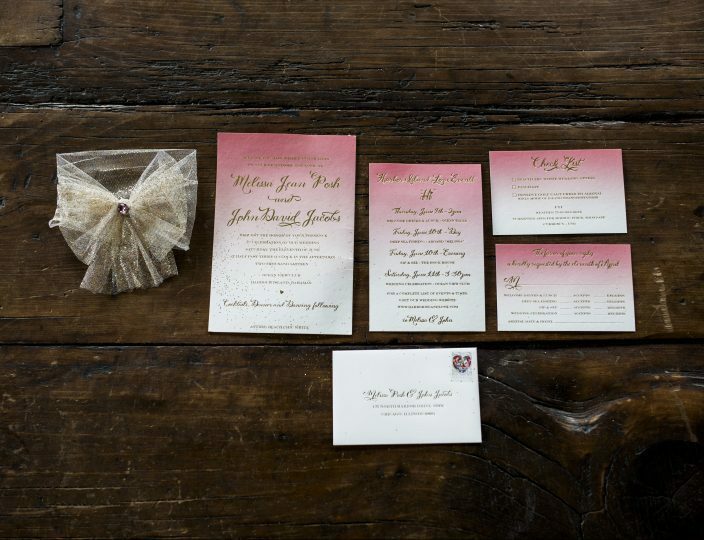 We worked with our friends at Events to create their wedding invitation suite (complete with reply cards and website cards) along with #10 sized wedding programs, menus, and a cute folded itinerary that we assembled with neutral colored ribbons. 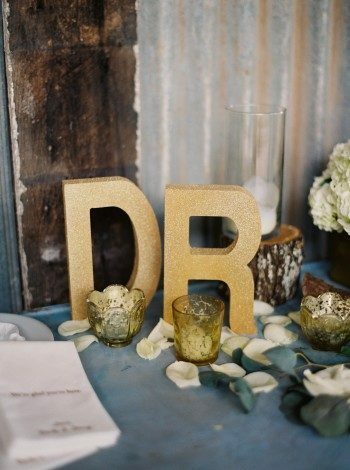 They were after a rustic, shabby chic look, and chose a venue with both a whimsical and romantic feel for their big day. 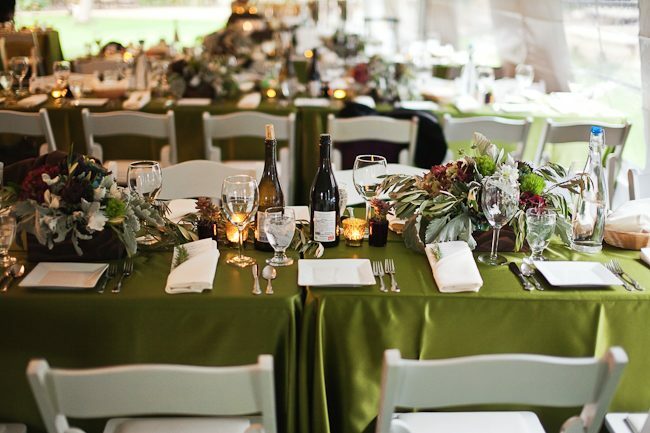 The couple chose to highlight the natural rustic beauty of the property by using a neutral color palette and infusing pops of burgundy and rust to tie into the fall season. 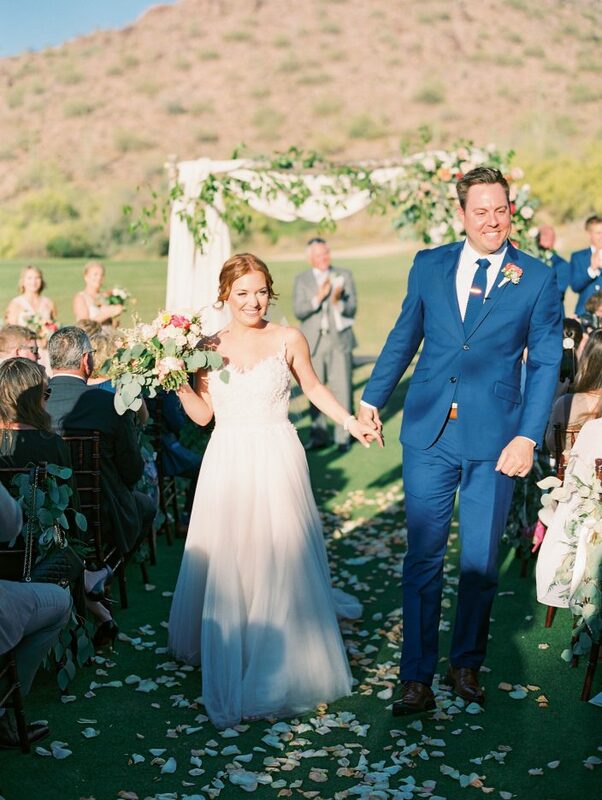 These are just a few of our favorite photos from their big day, but head over to Style Me Pretty for even more inspiration! 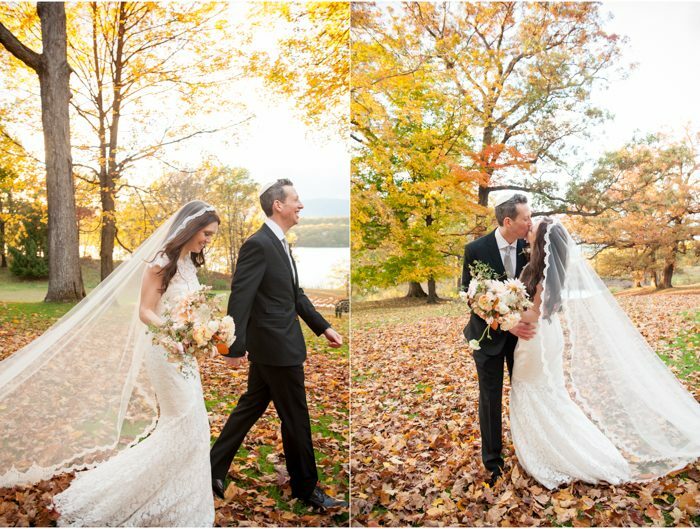 Jessica and Adam chose our Ashbourne design to set the tone for their cozy autumn wedding, and created a full custom invitation suite and programs in a soft color palette of pewter and sand inks. 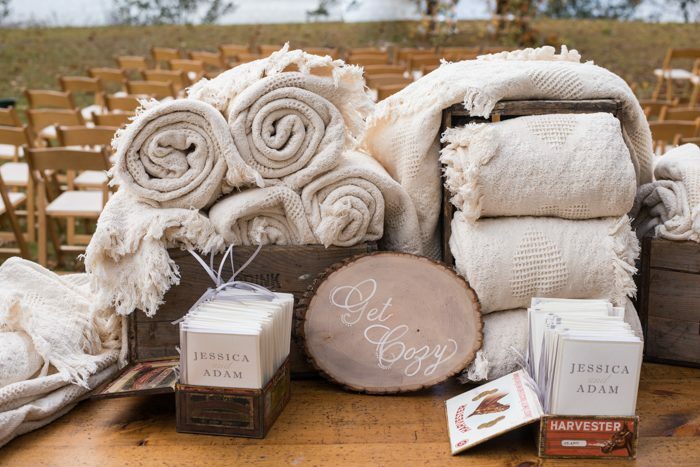 Guests cozied up with white blankets on the grounds of A Private Estate for the couple’s riverfront ceremony, then made their way to the barn for the cocktail hour with warm mulled sangria in hand. 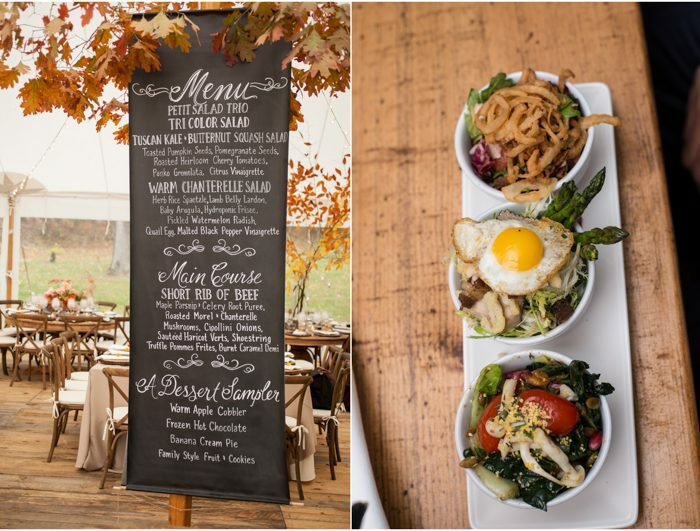 Inspired by their love of local food and wine, the elegant farm to table reception featured a unique trios of salads and desserts, which were artfully served up on striking wooden plates by Michael Scott Catering. 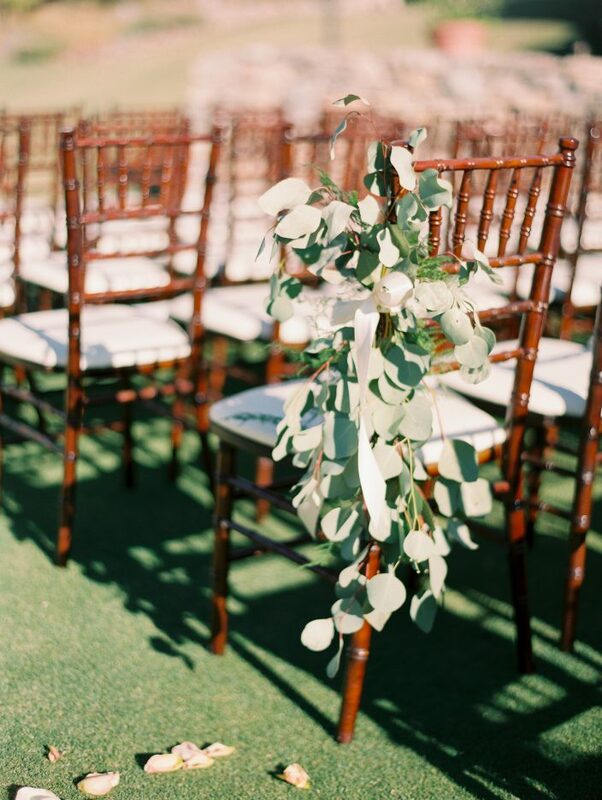 We can’t get enough of all the beautiful details that went into this wedding — especially the amazing florals by Saipua! 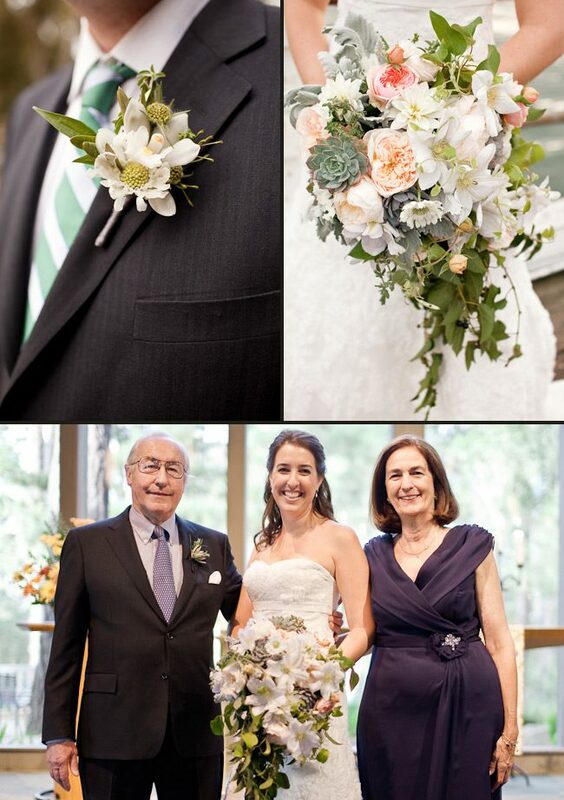 Be sure to visit the Cappy Hotchkiss blog to see even more images from this celebration! 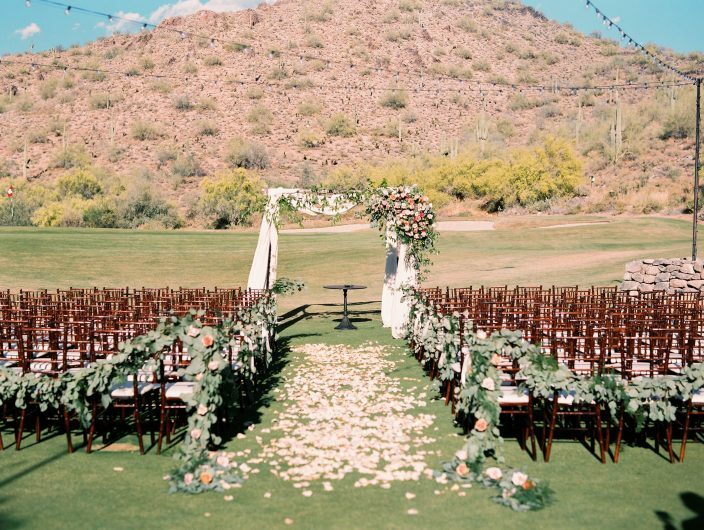 We always love seeing real weddings from our customers! 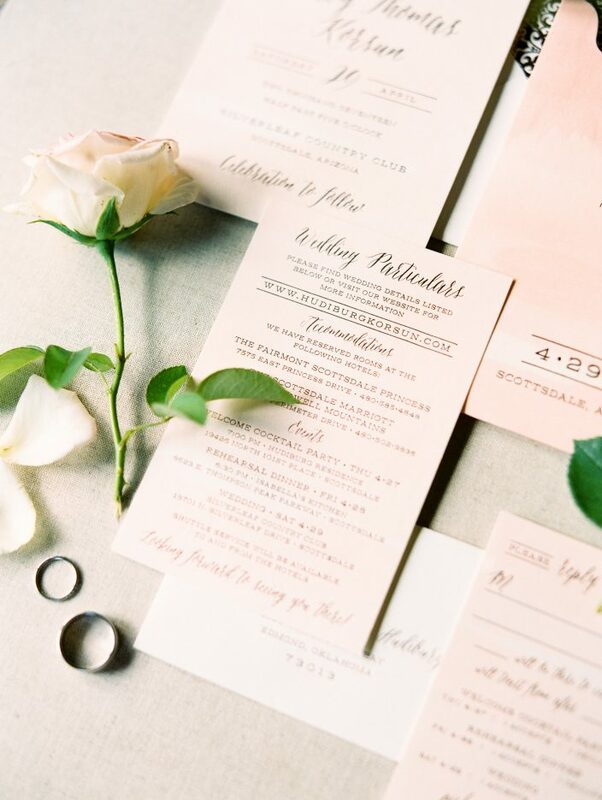 Alice and Dan worked with The Dandelion Patch to create their custom Haddington wedding invitations, which we printed in black ink on our white bamboo paper and paired with our popular pink vintage rose patterned envelope liners. They even ordered custom pink rose stamps to match! 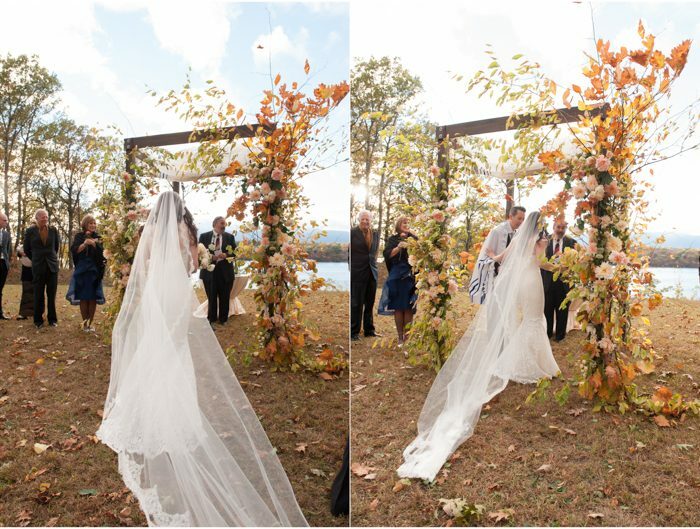 Their beautiful wedding took place at the Inn at Perry Cabin, a beautiful venue along the banks of the Chesapeake. 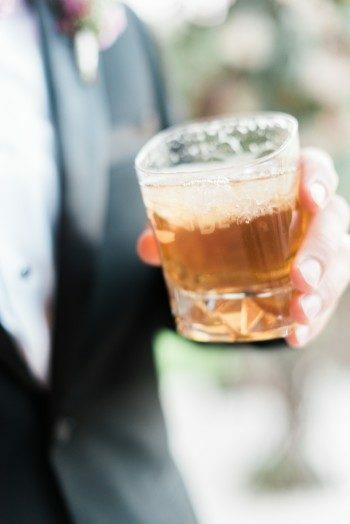 Here are a few of our favorite photos, but be sure to check out Southern Weddings to see the rest of the images from their big day! Our Creative Director Amy Graham Stigler worked with Lindsey and Timothy on their custom letterpress wedding invitations for their wedding at the Historic Pritzlaff in Milwaukee. Debi Zeinert of the Blooming Quill calligraphed their invitation envelopes, which were adorned with an assortment of cool vintage stamps. 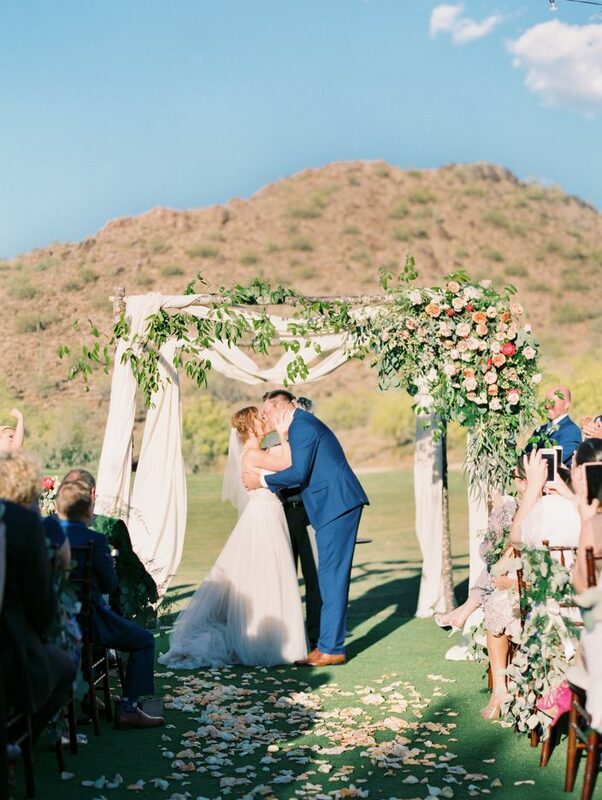 We especially love how the couple had their vows screen printed on fabric and hung during the ceremony and reception – such a unique touch! 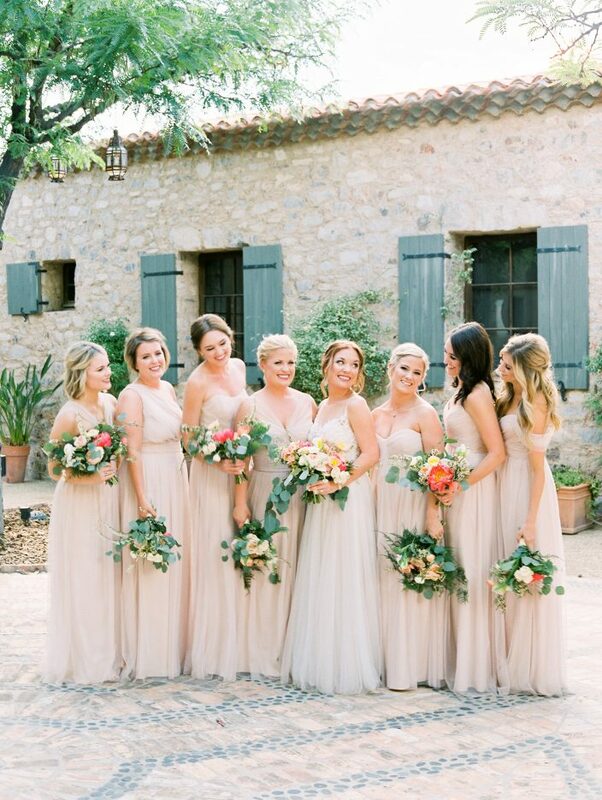 To see more photos from this beautiful real wedding, head over to Style Me Pretty. We worked with Michael and Jessica from JCG Events to create these darling letterpress baby shower invitations for their shower! The invitation features Ruby — one of our exclusive calligraphy fonts — in taupe letterpress ink, and was edge painted in neon pink ink. The return address was also printed in neon pink ink, and the couple had the envelopes addressed in neon pink ink to match. They even purchased vintage postage to match the look of the shower (including an Audrey Hepburn stamp – for baby Audrey!). 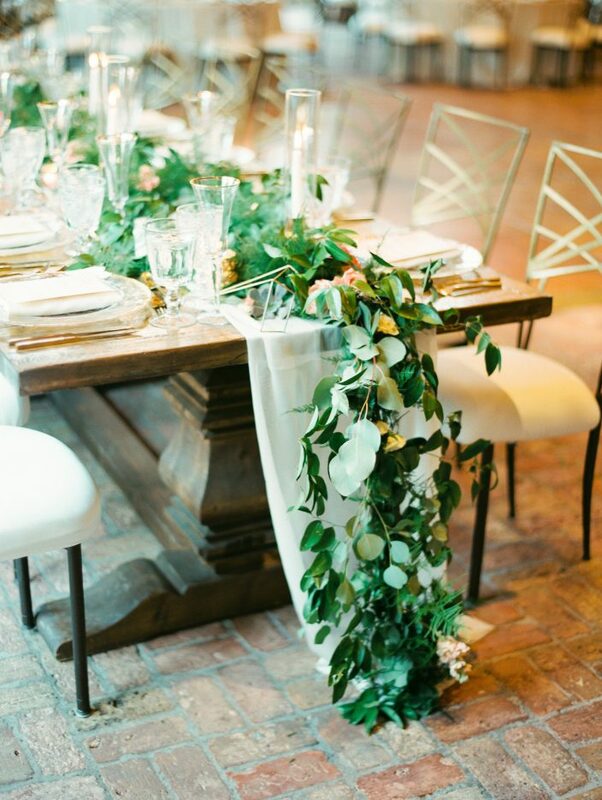 For the celebration, Jessica and Michael hosted a beautiful, Italian-inspired event at Villa Woodbine in Miami, complete with vibrant centerpieces, a DIY headband station and a gelato cart. 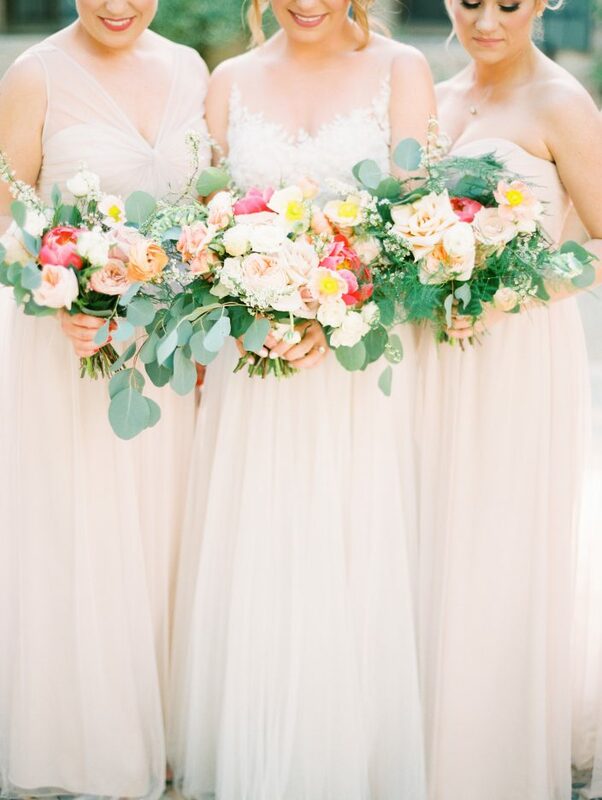 Head over to Style Me Pretty to see more photos and details from this beautiful baby shower! 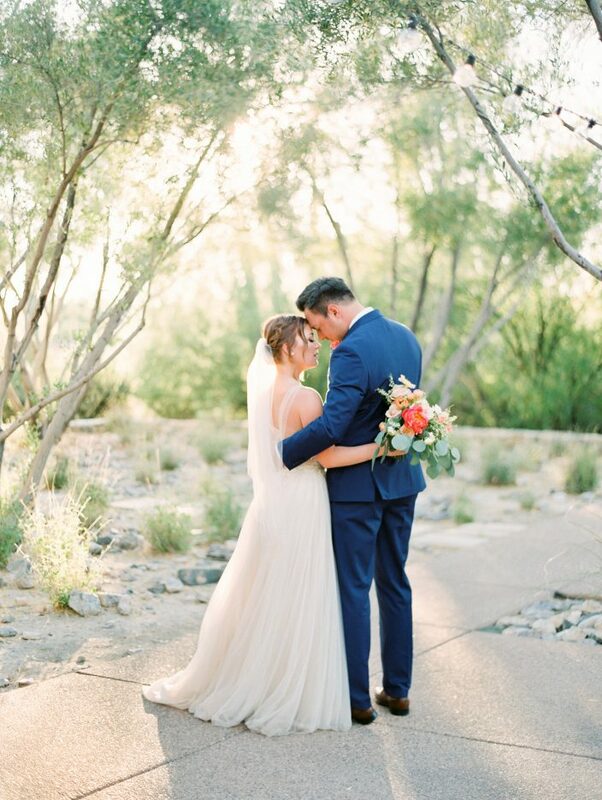 We love hearing a touching love story – the way that a couple meets, falls in love, and seeing these details woven into their wedding day. 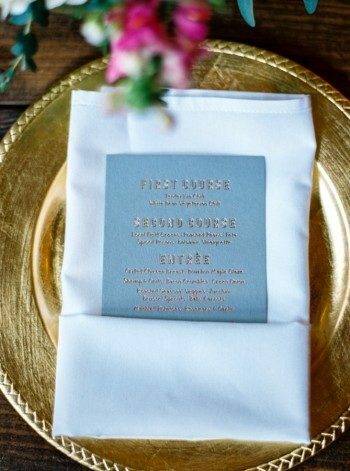 We were thrilled to find out the story behind the couple that ordered these three color letterpress wedding invitations. 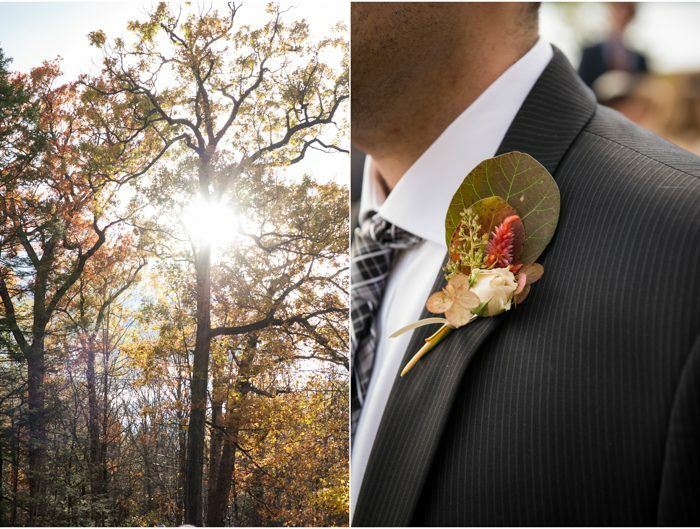 Peak Xperience was kind enough to share with us their engagement session, love story, and photos from their gorgeous wedding. 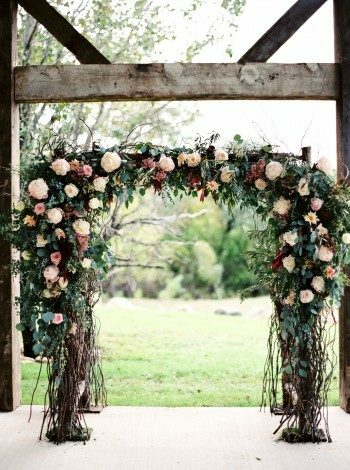 The Garden of Eden inspired the wedding ceremony: lush florals in purples and greens combined with a mix of modern and vintage details set the scene for this jaw-dropping celebration. 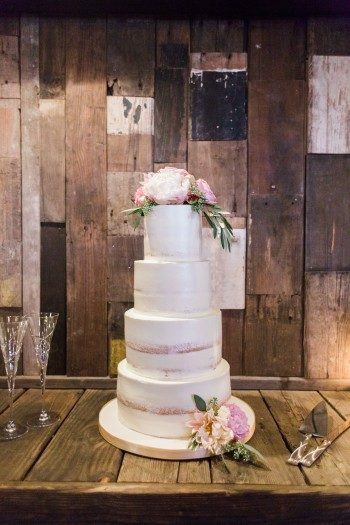 We were blown away by the size and beauty of their impressive wedding cake, which towered over the couple! 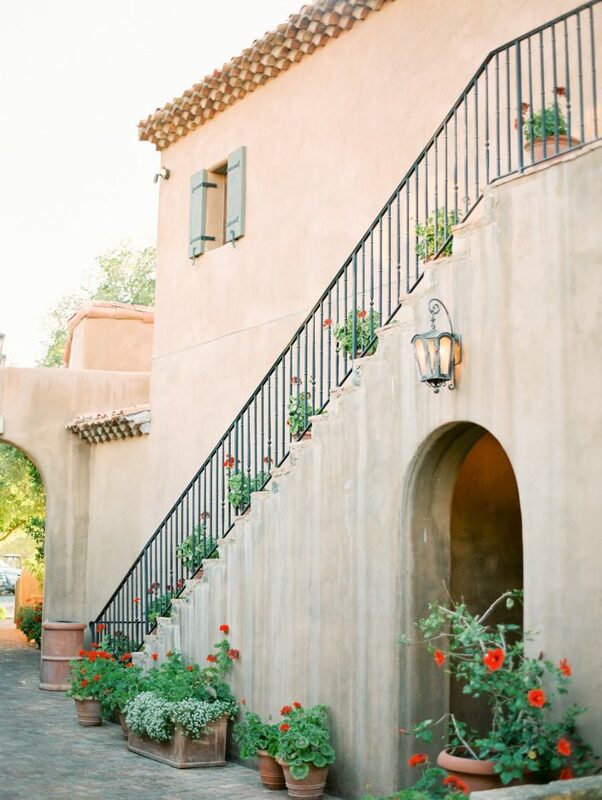 Each tier is incredibly stunning. 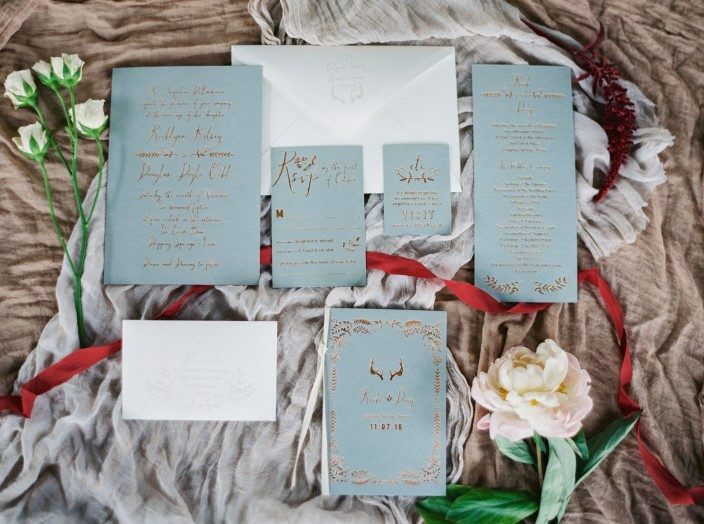 We worked with Carolyn from The Papery in Philadelphia last summer to create the whimsical letterpress wedding invitation suite for this amazing real wedding. This unique invitation set featured a custom sleeve with an intricate tree motif that was created by The Papery, and the sleeve was used to hold the wedding invitation and all of the suite pieces. The eye-catching blend of pewter, lime and dove inks really made this invitation set stand out! 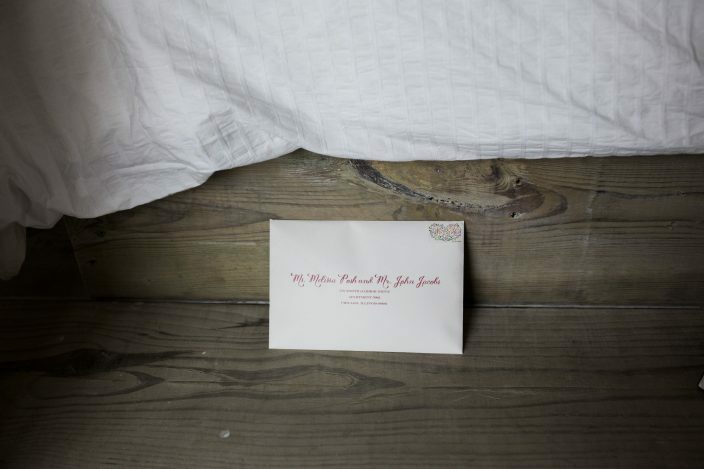 We thought the invitation was really special, but wait until you see the wedding photos! 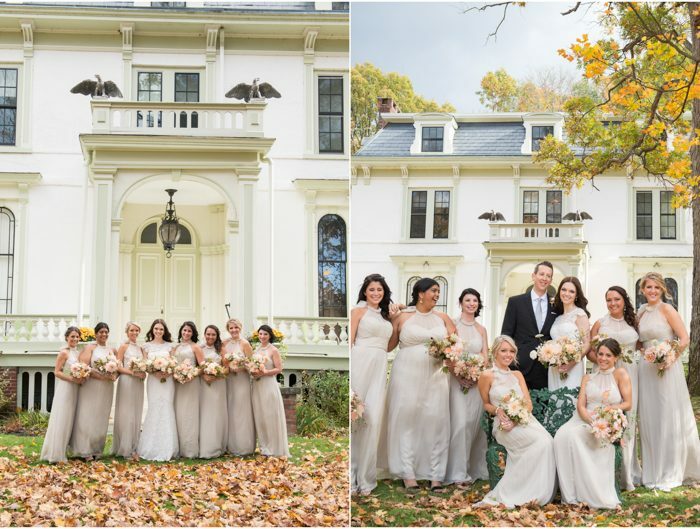 The Merion Cricket Club provided the perfect location for this elegant wedding, which was complete with gorgeous bouquets, an incredibly romantic gown and lots of friends and family. 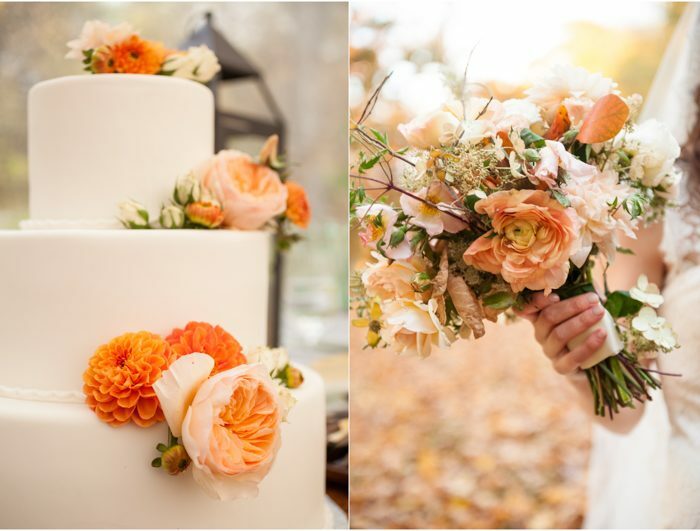 Take a look at Alison Conklin’s blog for more photos from this wedding! 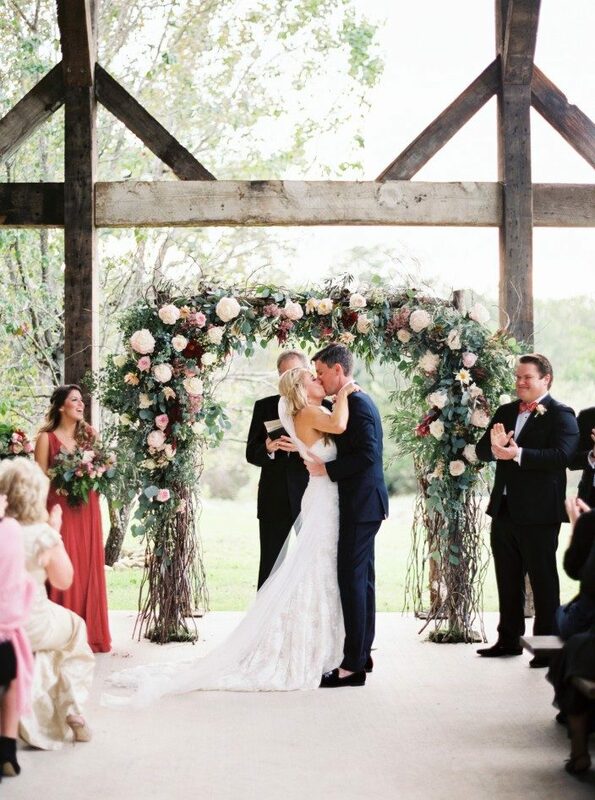 Olivia & Tim’s Real Wedding + Inside Weddings Magazine Feature! 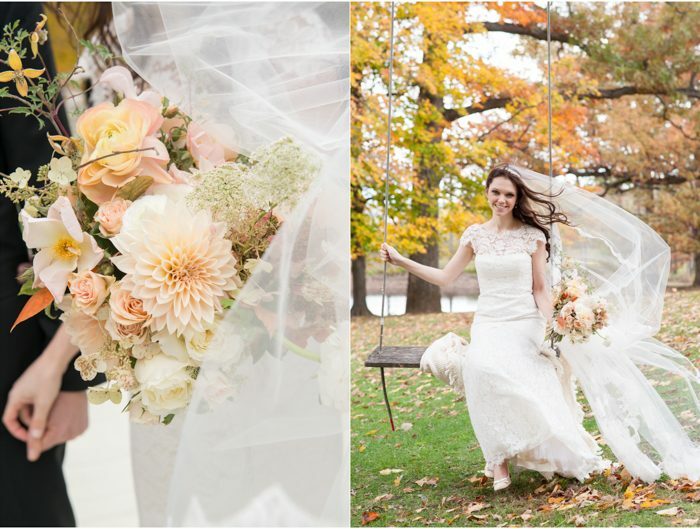 We love seeing the real weddings of brides and grooms who ordered their wedding invitations from Smock, but it’s an extra-special treat when the wedding photos come from one of our beloved Smock dealers! 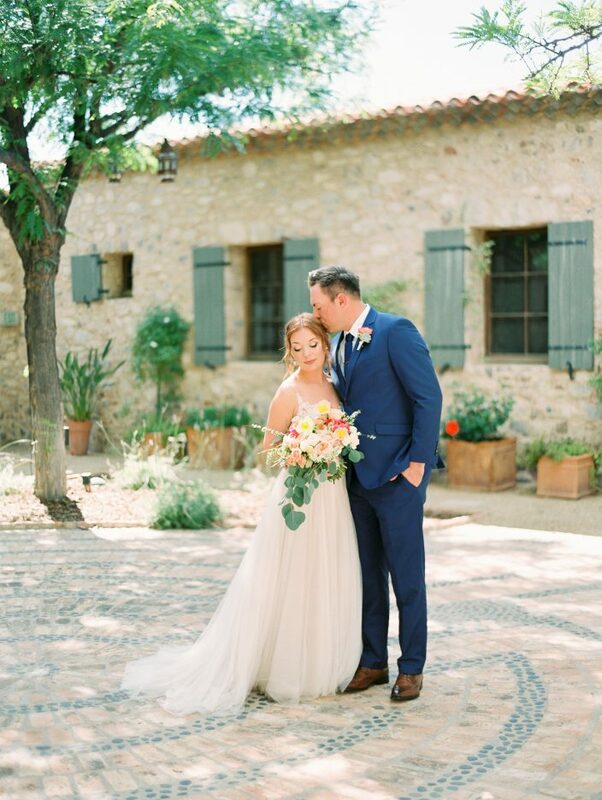 Today’s real wedding spotlight features Olivia, daughter of Edie Frere (Smock dealer extraordinaire and owner of Landis Gifts & Stationery in Los Angeles!) 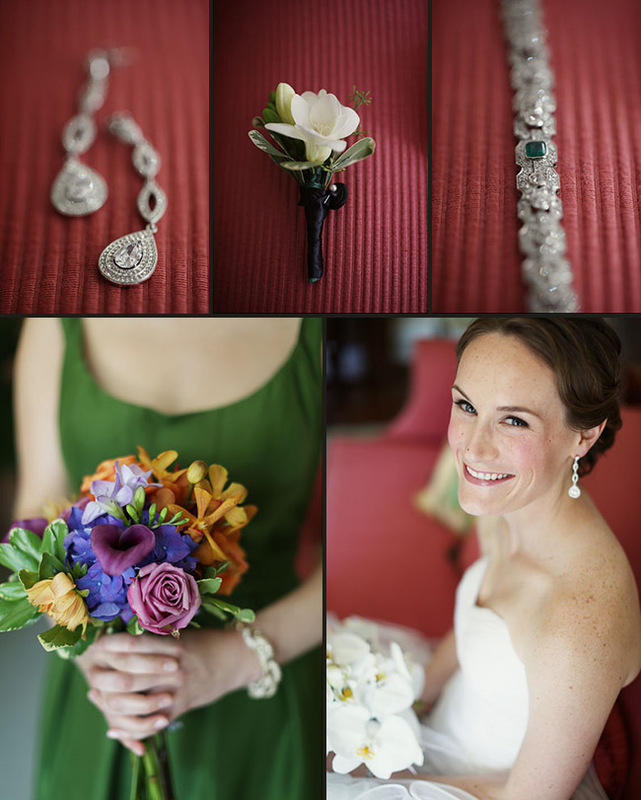 and her gorgeous wedding at The Holly Farm in Carmel, California. Olivia ordered a stunning invitation suite featuring our modern Ossa design in black and lime inks with a sophisticated folio that tied everything together. 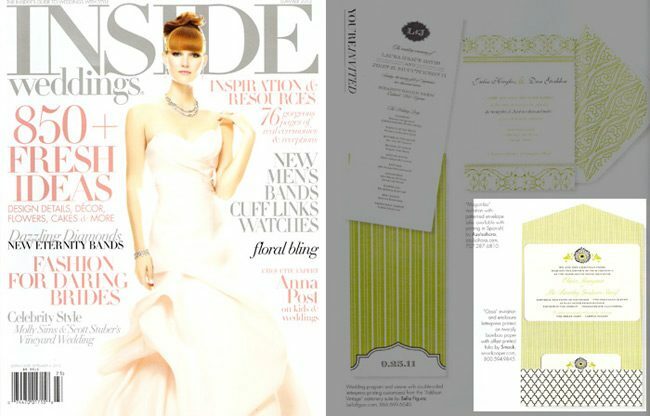 Inside Weddings loved her invitation set so much that they chose to feature it in their Summer 2012 issue! 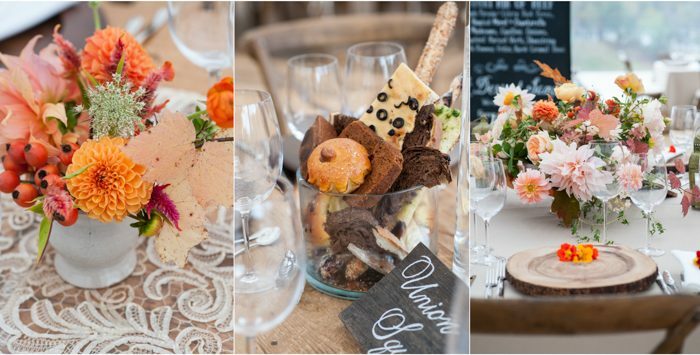 Olivia filled us in on what went into planning their fabulous wedding and even gave a few tips for couples who are currently planning their own celebrations. 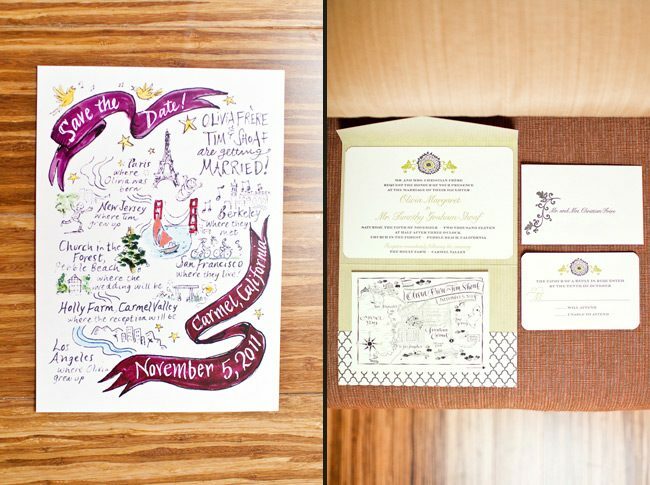 How did you choose your invitation design & ink color? I am very fortunate that my Mom and her team at Landis Gifts and Stationery are so good at what they do! We told Mom that we liked letterpress and wanted something fun and unusual. She took it from there! 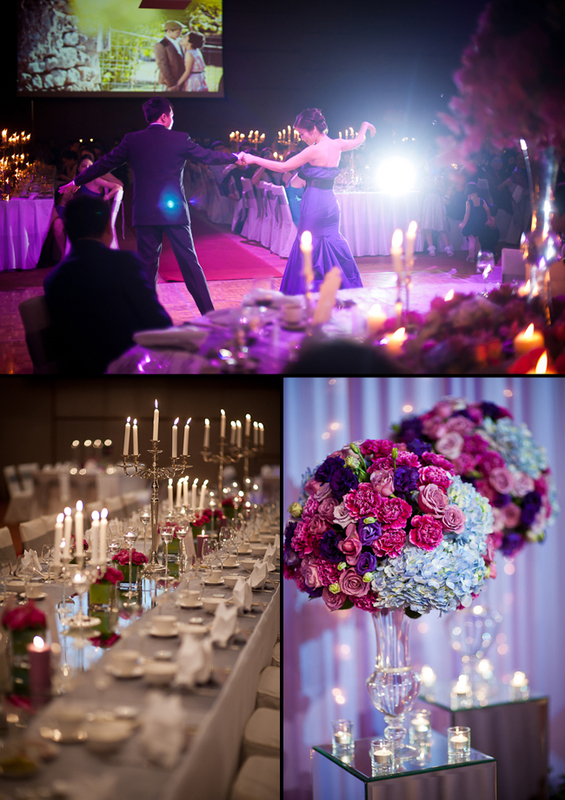 Can you share with us a bit about your wedding and your inspiration for the event? 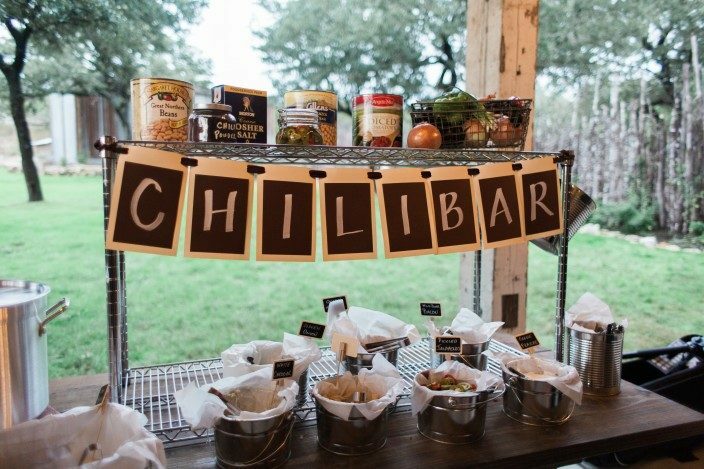 We focused on throwing a really fun, casual party for our family and friends. 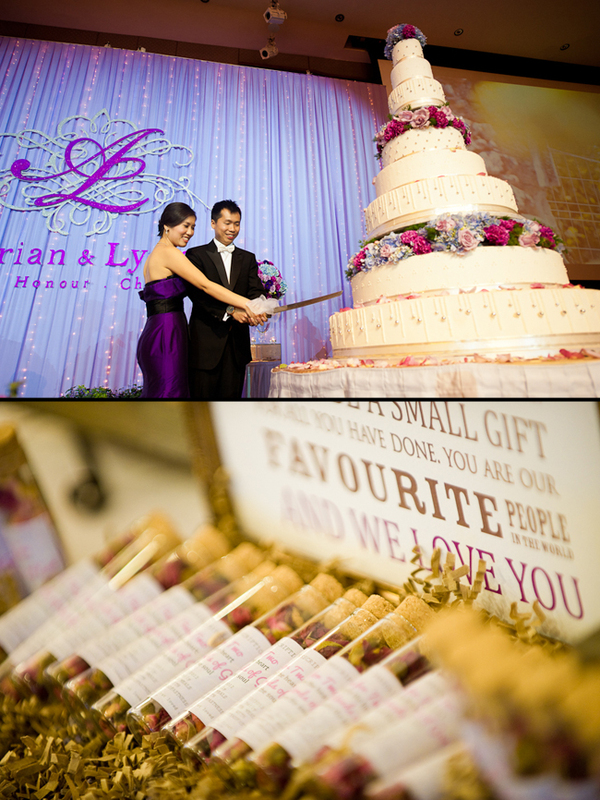 Our wedding would not have been possible without their support, so we wanted to make sure THEY had a really good time! 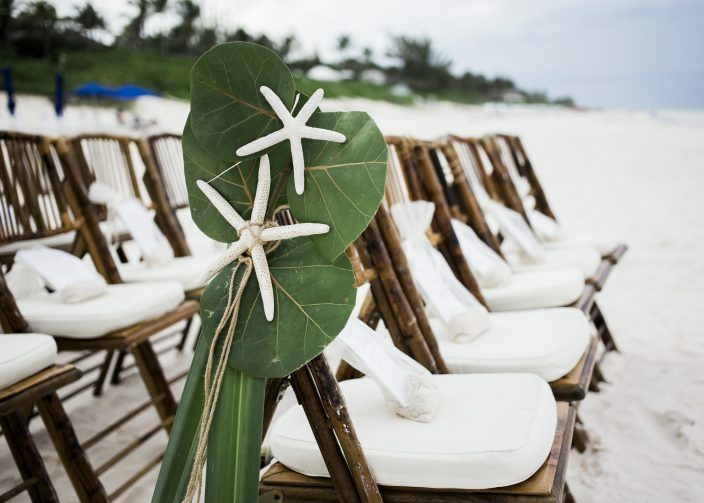 What advice do you have for couples currently planning a wedding? Don’t stress. 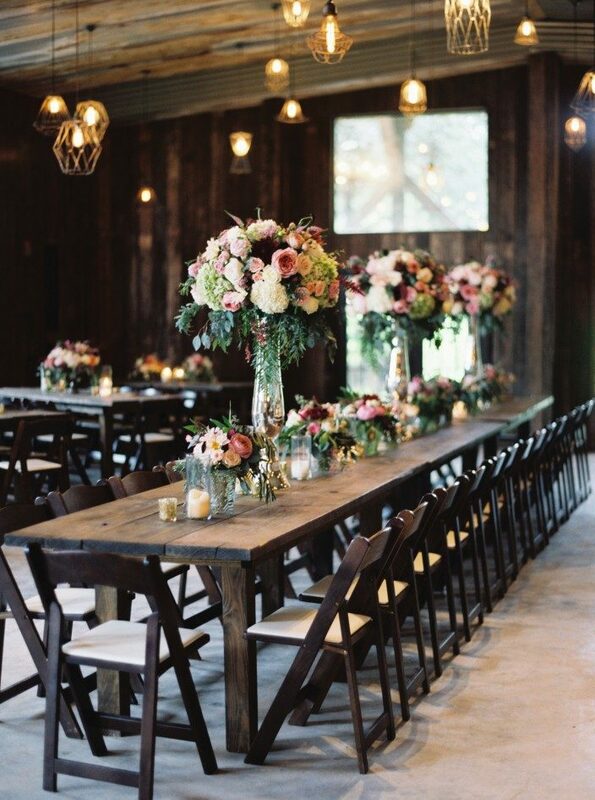 Planning a wedding can be so overwhelming. I’ll admit, I was a bit of a stress case myself, but in the end it all worked out the way we had envisioned. My husband’s advice: Eat meals together, family style. You can do a better job planning when you talk about it over meals. 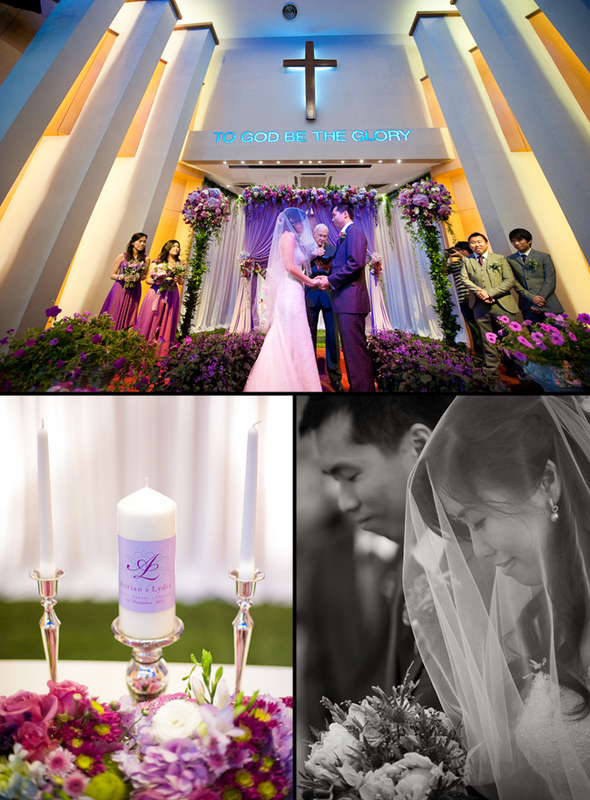 The satisfaction of planning and enjoying the occasion so deeply. We feel we did something as a couple that was greater than what we could have done as individuals and that was incredibly meaningful to us both. 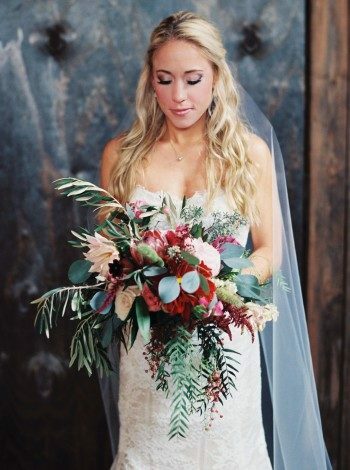 Favorite design element of your big day? We loved the flags that Mom had made for our signature drink. 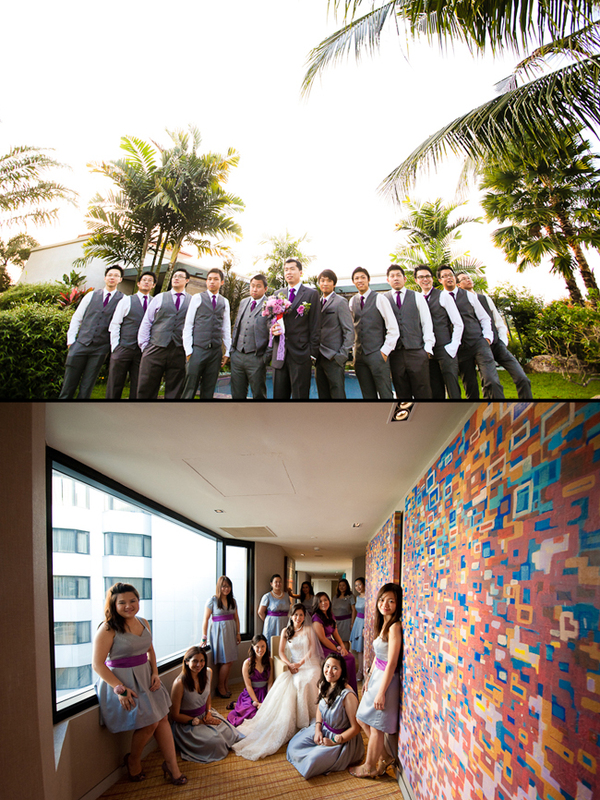 They were a surprise and added a great touch to our reception! 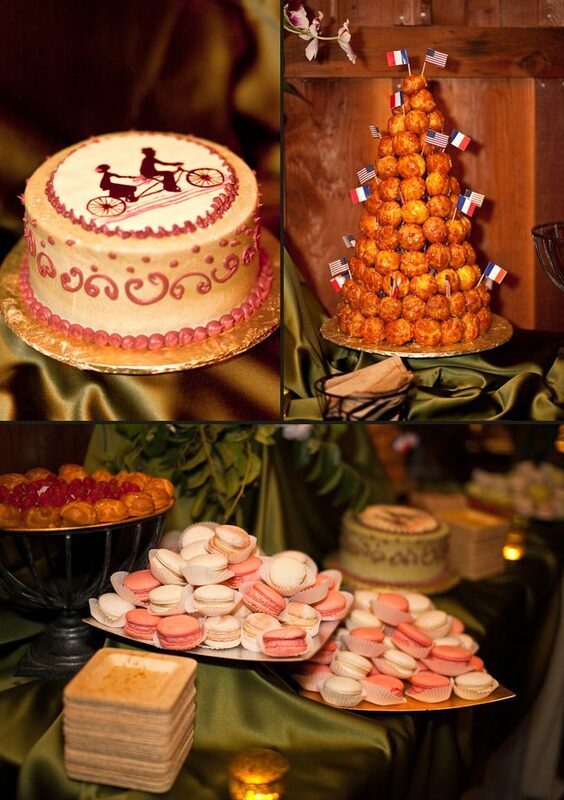 We also loved our wedding cake decorated with a tandem bike. What’s next for the newlyweds? 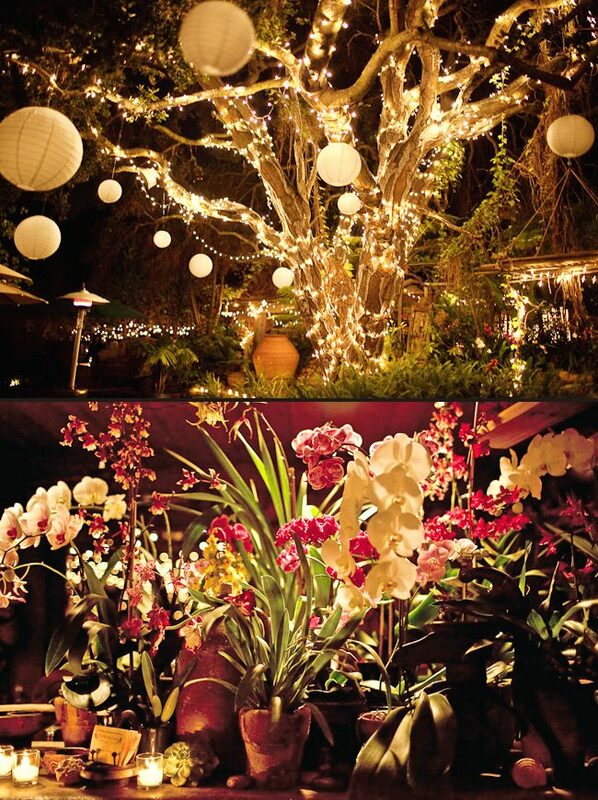 We are planning a honeymoon to South America, hopefully this fall! We love traveling and adventure, and are planning to spend a few weeks exploring Chile and Argentina by bike and boat. 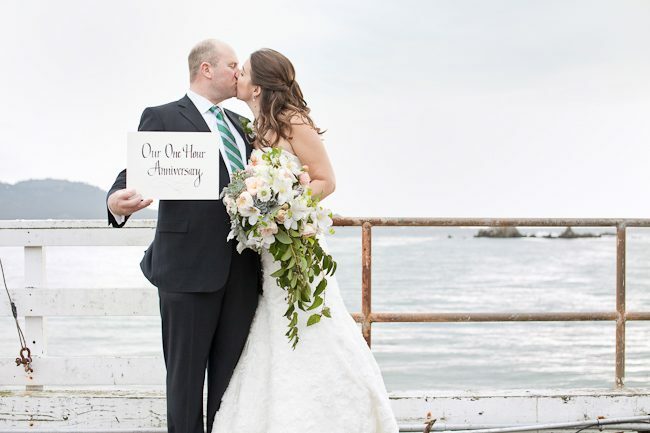 Congratulations and best wishes to Olivia and Tim from everyone here at Smock!